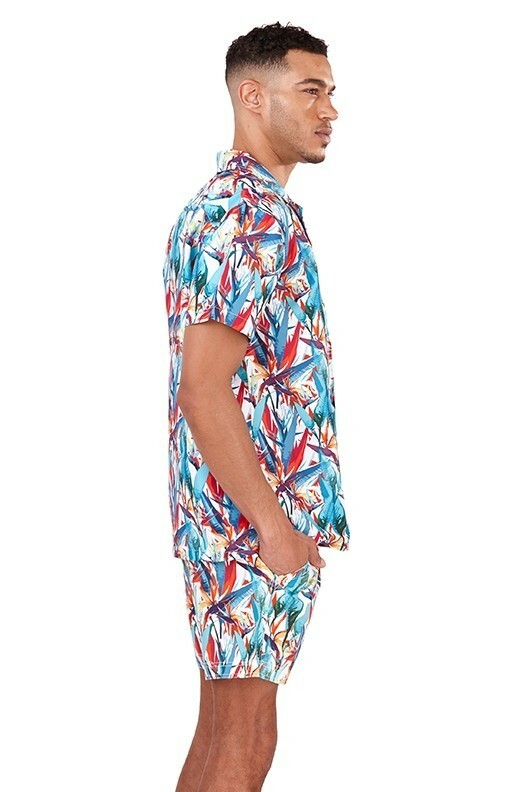 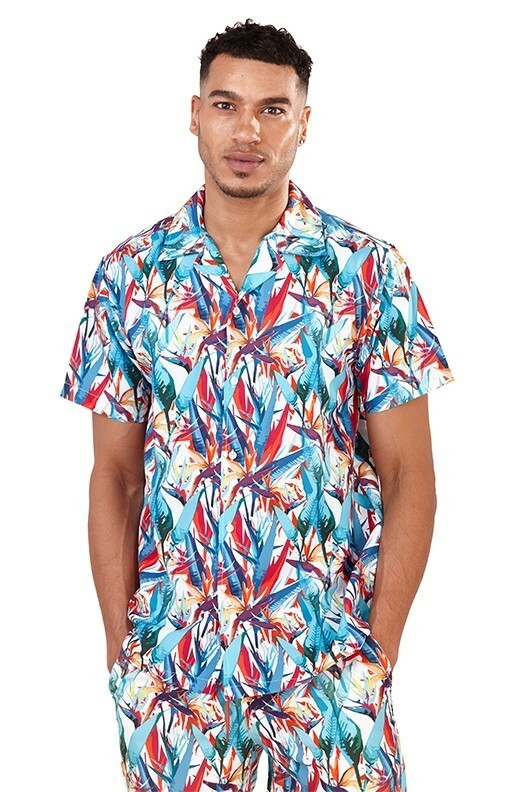 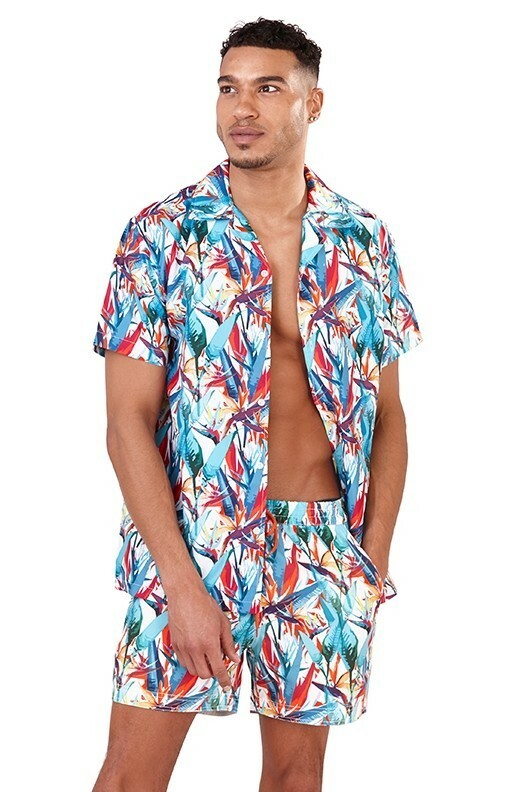 Men's White Tropical Print Shirt. 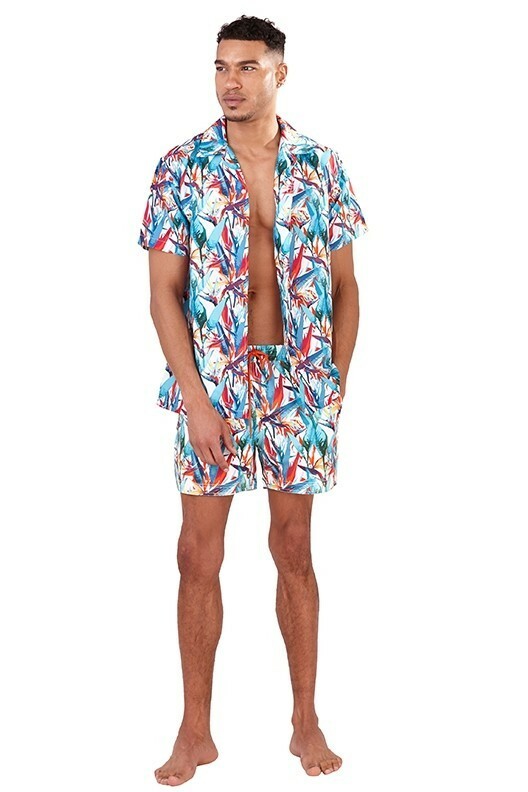 A must have for any men's holiday shop collection - also available in matching recycled swim shorts, for the perfect set! 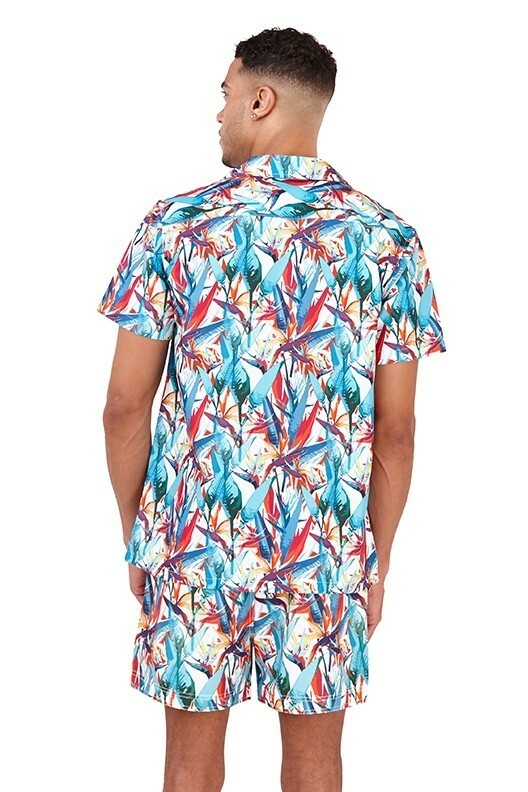 Available here.